Salvaged materials used: Vinyl, plywood, cork, and laminate. 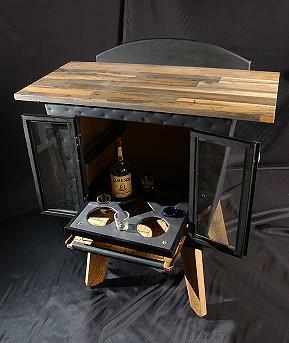 Project Description: Liquor cabinet lined with cork, sliding base, wrapped in vinyl with chestnut legs. Inspired by mid-century modern furniture.